Lifebook is more than simply an acting school. Lifebook is a community of artists working together for the achievement of their dreams. Lifebook is a launching pad for artistic communication and a place for real inspiration. Many students go on to produce and star in films with their fellow their Lifebook students. Many students have gotten other students auditions where Lifebook artists book professional work on the same project together. This community of artists stands powerful in an industry where you cannot succeed alone. We have actors, musicians, comics, writers, directors, producers, and more. Lifebook’s community has artists of all backgrounds, experience levels, from multiple fields, all working together. Lifebook is a place where you can learn to book professional acting work for life. It is also from life which real artists borrow and steal real moments for use in their work. Stella Adler said directly to one of my mentors, “I’m not just teaching acting, I’m teaching actors to be people.” We too continue this tradition at Lifebook. We steal from the book of life searching for honesty and truth in the moment. We are always observing in life with “the eyes of an artist,” looking for real moments, real behavior, which we can use in our work on stage and on film. “I began as an actor and realized in class that I wanted to be an acting coach. I studied under Milton Katselas (RIP) for several years. I’d bring an extra notebook to class and secretly critique my fellow advanced students. My critiques were right in line with Milton. He had been teaching for over 30 years! I began my career as a professional coach in 1992, at the time I coached swimming (WSI with the Red Cross). Since then I’ve coached Table Tennis (Ping Pong). I have assistant coached with Danny Seemiller, the United States Olympic Table Tennis Coach. I won some championships as a player and enjoyed private and team coaching as well. I began teaching acting well over a decade ago. I found that the same skill set required to coach sports at a high level transfers beautifully to coaching artists. 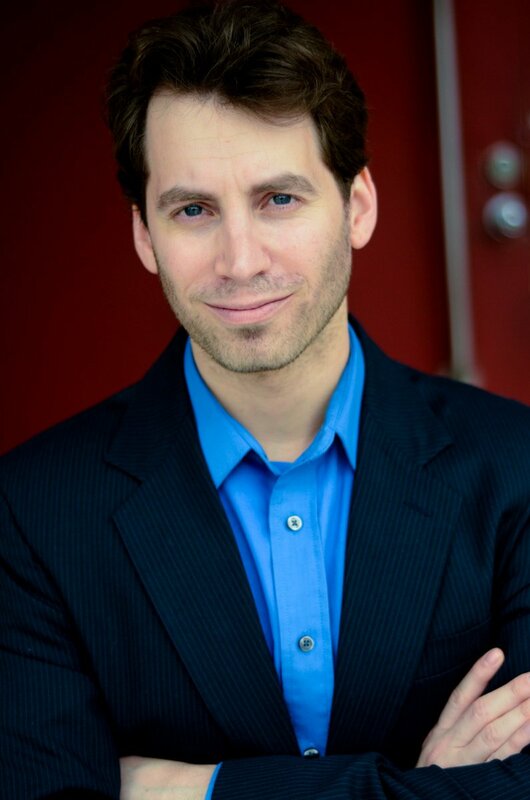 Acting classes I have taught include: Scene Study, Improv, Cold Reading, Audition Technique, Career Coaching, Acting Technique, and others. Classes have involved highly successful industry guest speakers as well. My best teaching has come into fruition at Lifebook, which I founded in 2005. Lifebook students have booked Series Regular and major recurring roles on mainstream television, leads in high budget feature films opposite A-list stars, national commercials, touring musicals, plays, and have landed recording contracts in music. I have produced and written pilots for television with top industry directors, writers, and producers, as full partners. One of them, called “LOL in LA” is a real contender. In 2009 I started a free actor co-op called “The Winners Circle” which has a very strong group of actors chosen out of over 450 auditions. These actors put on events, outings, and meetings for each other at no cost. We at Lifebook sometimes invite The Winners Circle to events. It’s a fun way to network and make additional friends with more positive artists who are winning in our chosen field. In 2010 I started a charitable group for actors called TSAG. This group caters to the needs of actors at no charge whatsoever. TSAG’s ambition is to help 1000 actors to better pursue their dreams. TSAG has already taught hundreds actors for free and we are consistently making strides towards our 1000 students goal. Lifebook actors are volunteering with this project as stage managers. We are really making a positive difference with this program. The results have been awesome! Over the past years I have also written, shot, directed, and edited a number of short films. The direction of my production work is heading into feature films and mainstream television. Above all things I love watching my actors achieve in class and in the industry. I teach private lessons and full classes. With both there is great satisfaction in watching actors advance. I enjoy working with artists at every stage of the career from first day beginners to people looking for their next starring role in a series. Every step is fascinating. “I want you to use Lifebook so that you can book professional acting work and not always be able to come to class because you are on set. I want you to work so much it’s hard for you to be here, but when you are here, even if you only have time to stop by at the end of class, you are able to inspire the group with true artistic achievement. I want you to make enough money in this industry so that you don’t need to waste your time with other jobs. I want you to be able to choose the projects you want to work on because there is something in it for you that excites the artist in you. I want you to be inspired and inspire those around you as you represent Lifebook on set, on stage, and in life. I want you to be able to express yourself within your artwork with true belief and honesty. I want you to challenge yourself to a deeper understanding of your characters, the world, and life. I want you to research, rehearse, and interview. I want you to observe and steal for your art. I want you to take joy in the process and discovery of art, not merely the outcome. I want you to fully understand that you qualify for your dreams and beyond, no matter how daunting they may seem to you now. I want you to find your relevance and artistic satisfaction. I want you to celebrate with your team at Lifebook. When anyone in Lifebook wins we are all victorious. I want you to continue to redefine your dreams within specifics that are actionable and attainable. I want you to take those actions, win and repeat. I can see you at your full potential, fulfilled and happy, living your dreams. Hear what people say about us. Lifebook Acting Academy is so much more than an acting class. It’s a caring, supportive community that embraces everyone who walks through the door and dares you to fulfill your dreams. I have been at Lifebook Acting Academy for about a year, and I can honestly say that being there has reminded me why I’m an actor. Being on stage with my classmates is a gift and Allen Levin’s instruction is fantastic. I am so proud to be part of this talented community! © Copyright 2018. Lifebook Acting Academy. All Rights Reserved.